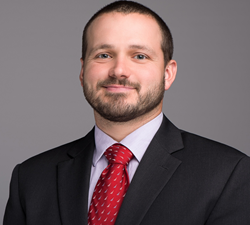 Cotney Construction Law Attorney, Anthony Tilton, was recently named General Counsel to The Tile Roofing Institute. Anthony Tilton of Cotney Construction Law, LLP was recently named General Counsel of the Tile Roofing Institute (TRI). As General Counsel, Tilton will provide key legal guidance on corporate structure & bylaws, board of director, operations, regulatory compliance, and governance policies. Tilton specializes in all aspects of construction law, and works primarily on matters relating to OSHA and licensing defense, specifically litigation and the appeals process for citations involving catastrophic construction or industry related accidents. Tilton also manages and develops safety and health strategies for construction contractors and industrial facilities across the United States. Cotney Construction Law, LLP is a national construction law firm that advocates for the roofing industry. The firm serves as General Counsel to Florida Roofing and Sheet Metal Association (FRSA), Tennessee Association of Roofing Contractors (TARC), Roofing Technology Think Tank (RT3), National Women in Roofing (NWIR), and a number of local roofing associations. Cotney Construction Law’s practice areas include construction law, litigation, arbitration, contract review & drafting, immigration, employment, OSHA defense, licensing defense, bid protests, lien law, bond law and alternative dispute resolution. The firm has offices throughout Florida, as well as locations in Nashville, Houston, Grand Rapids, and Mobile, Alabama. For more information, visit http://www.cotneycl.com.